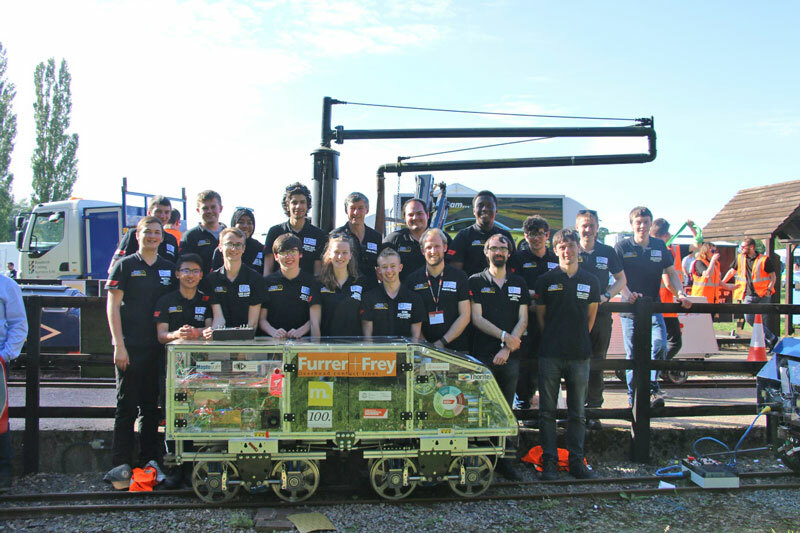 The Railway Challenge is a competition designed by the Institute of Mechanical Engineers (IMechE), aimed at engaging young engineers with the rail industry. The challenge, now in its seventh successive year, brings together teams of university students, as well as apprentices and graduates working in industry across the world to test their business knowledge, design ability and technical skills in a live test environment. The Railway Challenge at Sheffield (RCAS) is an extracurricular student-led activity within the Mechanical Engineering department at the university of Sheffield, that designs, codes and manufactures a 10 1/4 inch gauge miniature locomotive to compete in the IMechE’s Railway Challenge. The locomotive is assessed in accordance with a set of strict rules and a detailed technical specification, such as traction, ride comfort, and a business case. The locomotives are tested live at a competition, which takes place in June at the Stapleford Miniature Railway in Leicestershire, where several categories of winners and an overall Railway Challenge champion is crowned. The team consists of around twenty members, and students studying Mechanical Engineering and even cross discipline can get involved as soon as they come to the University, getting into to the design of components within the suspension or braking systems for example, before proceeding to manufacture and test; allowing the students to experience all the stages of an engineering product as well as skills gained by working in the team such as effective communication, time management and financial planning. Last year the team was granted a sponsorship from Maplesoft, and as a result, huge improvements were made within the team. Overall the team jumped from finishing in 7th place to in the summer winning the maintainability challenge and finishing in 4th place overall – mostly down to the electronics working for the first year ever! 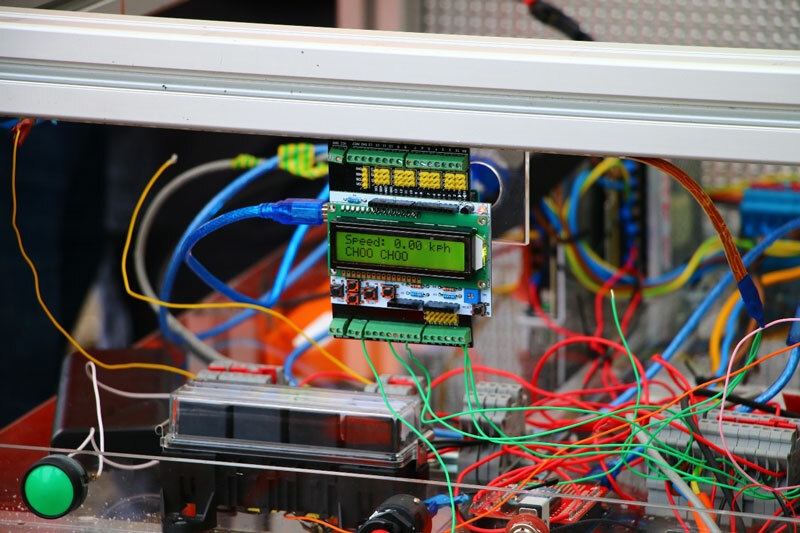 Using Maplesoft’s donation the team switched form a central CRIO control system to a distributed network using I2C protocols and Arduino hardware. This did away with some of the electrical teething problems the team has suffered in previous years. It also introduced our Mechanical Engineers to coding that they would otherwise not do in their course. This year Maplesoft have again sponsored RCAS. The team is hoping to use the licenses to perform their structures calculations in an easy way to keep track of them for use in the design report. They are also hoping to use MapleSim for dynamics modelling, to assist with suspension design, and designing any electronics or control elements, such as filter design and motor control. Live simulations let you see results as the simulation is running, so you can track progress and react to problems immediately. Tools for revision control enable a structured approach to managing and tracking changes to your model, making it easier to manage projects when multiple engineers are working on the same model and reducing development risk. MapleSim now supports direct import of models created in other FMI-compatible software, providing even greater cross-tool compatibility and opportunities for co-simulation. The MapleSim Connector, for connectivity with Simulink®, and the MapleSim Connector for FMI, for exporting MapleSim models to other FMI-compatible tools, have been expanded to allow you to explore simulation results involving exported MapleSim models from within MapleSim, even though the simulation was done in the target tool. And more! See What’s New in MapleSim for more information about these and other improvements in MapleSim. This update is being distributed through the automatic Check for Updates system, and is also available from our website. See the MapleSim 2016.2 downloads page for details on obtaining this update. At the present time before constructing or starting to develop a mechanical structures project it is necessary to model it using graphic programming; In this opportunity and used MapleSim as a computational tool belonging to the company Maplesoft. The modern approach to modeling and simulation makes the fabrication of complex designs easy to solve. We will cover some examples taken from the engineering being implemented in Maplesim with insertion of physical objects; To be seen in real time through video output; Then integrates with Maple to analyze the equations and data through the static and dynamic behavior of the fabricated. 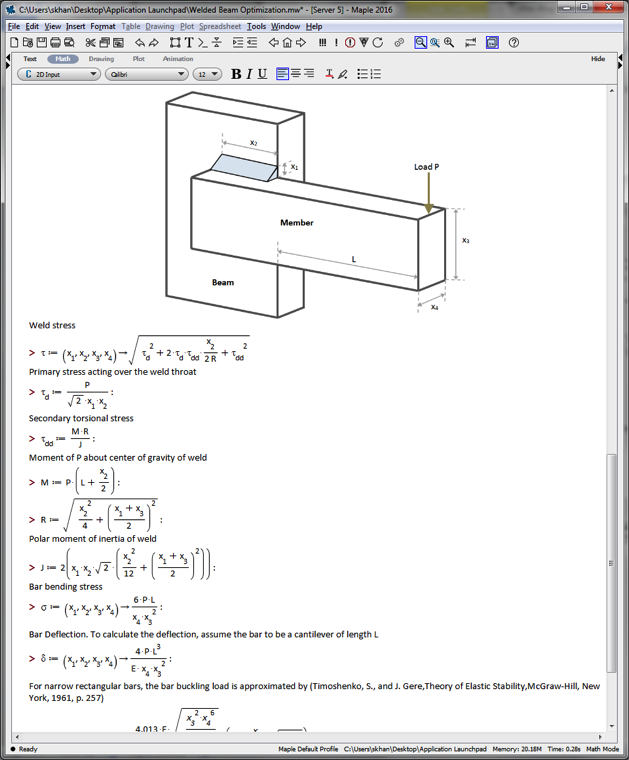 Solved methods of physical block components include functionality for many domains: rotational and translational mechanics, multi-body dynamics, logic, and structural blocks; With techniques like: Drag-and-Drop Physical Modeling Environment and Create Custom Components Directly From Their Equations, thus the systems that would take hours or days to build from equations; In principle they can be created in a fraction of time using MapleSim, so it can incorporate significantly more complex graphical algorithms. In MapleSim, I use the revolutionary multibody technology that perfectly combines advanced multi-domain modeling tools to provide all the functionality you need in one environment. 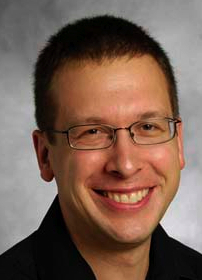 This MaplePrimes guest blog post is from Dr. James Smith, an Assistant Lecturer in the Electrical Engineering and Computer Science Department of York University’s Lassonde School of Engineering. His team has been working with Maplesim to improve the design of assistive devices. As we go through our everyday lives, we rarely give much thought to the complex motions and movements our bodies go through on a regular basis. Motions and movements that seem so simple on the surface require more strength and coordination to execute than we realize. And these are made far more difficult as we age or when our health is in decline. So what can be done to assist us with these functions? In recent years, my research team and I have been working on developing more practical and streamlined devices to assist humans with everyday movements, such as standing and sitting. Our objective was to determine if energy could be regenerated in prosthetic devices during these movements, similar to the way in which hybrid electric vehicles recover waste heat from braking and convert it into useable energy. People use – and potentially generate – more energy than they realize in carrying out common, everyday movements. Our research for this project focused on the leg joints, and investigated which of the three joints (ankle, knee or hip) was able to regenerate the most energy throughout a sitting or standing motion. We were confident that determining this would lead to the development of more efficient locomotive devices for people suffering from diseases or disabilities affecting the muscles around these joints. In order to identify the point at which regenerative power is at its peak, we determined that MapleSim was the best tool to help us gather the desired data. 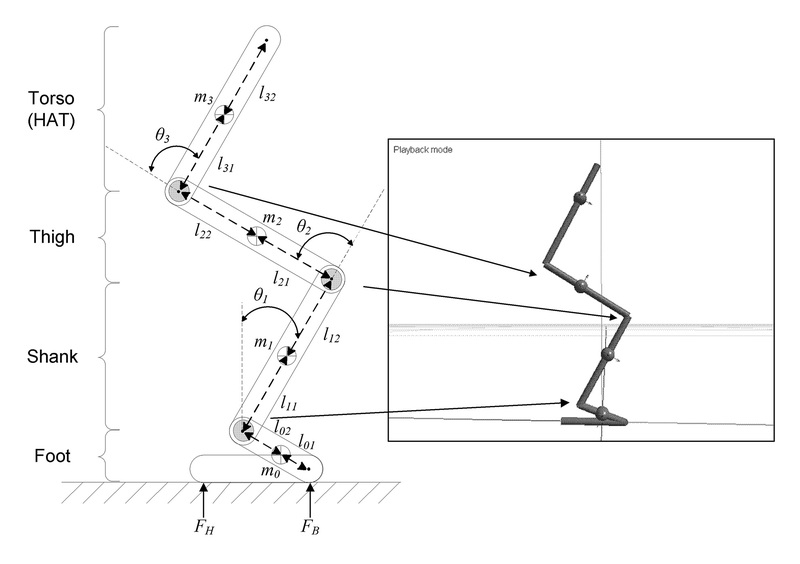 We took biomechanical data from actual human trials and applied them to a robotic model that mimics human movements when transitioning between sitting and standing positions. We created models to measure unique movements and energy consumption at each joint throughout the identified movements to determine where the greatest regeneration occurred. To successfully carry out our research, it was essential that we were able to model the complex chemical reactions that occur within the battery needed to power the assistive device. It is a challenge finding this feature in many engineering software programs and MapleSim’s battery modeling library saved our team a great deal of time and effort during the process, as we were able to use an existing MapleSim model and simply make adjustments to fit our project. Using MapleSim, we developed a simplified model of the human leg with a foot firmly planted on the ground, followed by a more complex model with a realistic human foot that could be raised off the ground. The first model was used to create a simplified model-based motion controller that was then applied to the second model. The human trials we conducted produced the necessary data for input into a multi-domain MapleSim model that was used to accurately simulate the necessary motions to properly analyze battery autonomy. The findings that resulted from our research have useful and substantial applications for prostheses and orthoses designs. 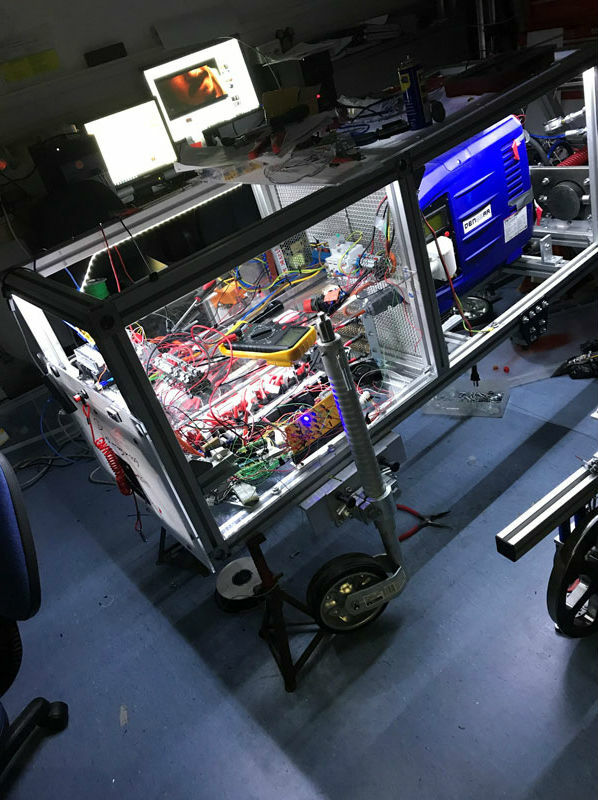 If one is able to determine the most efficient battery autonomy, operation of these assistive devices can be prolonged, and smaller, lighter batteries can be used to power them. Ultimately, our simulations and the resulting data create the possibility of more efficient devices that can reduce joint loads during standing to sitting processes, and vice versa. Observations on the trinomial n2 + n + 41. We assume that n is an integer. We focus our attention on the polynomial n^2 + n + 41.
where n is a non-negative integer. It was shown by Legendre, in 1798 that if 0 ≤ n < 40 then h(n) is a prime number. The restrictions are that 0<r<c and gcd(r,c) = 1 and all four of r,c,x, and y are integers. Each such pair (r,c) yields (again determined experimentally and by observation of calculations) an integer polynomial a*z2 + b*z + c, and the quartic h(a*z2 + b*z + c) then factors non-trivially over the integers into two quadratic expressions. We call this our "parabola conjecture". Certain symmetries in the bifurcation graph are due to elementary relationships between pairs of co-prime integers. For instance if m<n are co-prime integers, then there is an observable relationship between the parabola it determines that that formed from (n-m, n). We conjecture that all composite values of h(n) arise by substituting integer values of z into h(a*z2 + b*z + c), where this quartic factors algebraically over Z for a*z2 + b*z + c a quadratic polynomial determined by a pair of relatively prime integers. We name this our "no stray points conjecture" because all the points in the bifurcation graph appear to lie on a parabola. We further conjecture that the minimum x-values for parabolas corresponding to (r, c) with gcd(r, c) = 1 are equal for fixed n. Further, these minimum x-values line up at 163*c^2/4 where c = 2, 3, 4, ... The numerical evidence seems to support this. This is called our "parabolas line up" conjecture. The notation gcd(r, c) used above is defined here. The greatest common devisor of two integers is the smallest whole number that divides both of those integers. Theorem 1 - Consider h(n) with n a non negative integer. h(n) never has a factor less than 41. We prove Theorem 1 with a modular construction. We make a residue table with all the prime factors less than 41. The fundamental theorem of arithmetic states that any integer greater than one is either a prime number, or can be written as a unique product of prime numbers (ignoring the order). So if h(n) never has a prime factor less than 41, then by extension it never has an integer factor less than 41. For example, to determine that h(n) is never divisible by 2, note the first column of the residue table. If n is even, then h(n) is odd. Similarly, if n is odd then h(n) is also odd. In either case, h(n) does not have factorization by 2. Also, for divisibility by 3, there are 3 cases to check. They are n = 0, 1, and 2 mod 3. h(0) mod 3 is 2. h(1) mod 3 is 1. and h(2) mod 3 is 2. Due to these three cases, h(n) is never divisible by 3. This is the second column of the residue table. The number 0 is first found in the residue table for the cases h(0) mod 41 and h(40) mod 41. This means that if n is congruent to 0 mod 41 then h(n) will be divisible by 41. Similarly, if n is congruent to 40 mod 41 then h(n) is also divisible by 41. After the residue table, we observe a bifurcation graph which has points when h(y) mod x is divisible by x. The points (x,y) can be seen on the bifurcation graph. Thus we have shown that h(n) never has a factor less than 41. Since h(a) = a^2 + a + 41, we want to show that h(a) = h( -a -1). Now h(-a -1) = (-a -1)*(-a -1 +1) + 41. And h(-a -1) = h(a). Which was what we wanted. End of proof of theorem 2. Further, if h(b) mod c ≡ = then h(c –b -1) mod c ≡ 0. We can observe interesting patterns in the “graph of discrete divisors” on a following page. Would Brunel Have Used a Spreadsheet? This is a post that I wrote for the Altair Innovation Intelligence blog. I have a grudging respect for Victorian engineers. Isambard Kingdom Brunel, for example, designed bridges, steam ships and railway stations with nothing but intellectual flair, hand-calculations and painstakingly crafted schematics. His notebooks are digitally preserved, and make for fascinating reading for anyone with an interest in the history of engineering. His notebooks have several characteristics. Hand calculations mix equations, text and diagrams. Engineers still use paper for quick calculations and analyses, but how would Brunel have calculated the shape of the Clifton Suspension Bridge or the dimensions of its chain links if he worked today? If computational support is needed, engineers often choose spreadsheets. They’re ubiquitous, and the barrier to entry is low. It’s just too easy to fire-up a spreadsheet and do a few simple design calculations. Spreadsheets are difficult to debug, validate and extend. Spreadsheets are great at manipulating tabular data. I use them for tracking expenses and budgeting. For these limitations alone, I doubt if Brunel would have used a spreadsheet. Technology has now evolved to the point where an engineer can reproduce the design metaphor of Brunel’s paper notebooks in software – a freeform mix of calculations, text, drawings and equations in an electronic notebook. A number of these tools are available (including Maple, available via the APA website). Modern calculation tools reproduce the design metaphor of hand calculations. Additionally, these modern software tools can do math that is improbably difficult to do by hand (for example, FFTs, matrix computation and optimization) and connect to CAD packages. For example, Brunel could have designed the chain links on the Clifton Suspension Bridge, and updated the dimensions of a CAD diagram, while still maintaining the readability of hand calculations, all from the same electronic notebook. That seems like a smarter choice. Would I go back to the physical notebooks that Brunel diligently filled with hand calculations? Given the scrawl that I call my handwriting, probably not. And more! See What’s New in MapleSim 2015.2 for more information about these and other improvements in MapleSim. The new MapleSim CAD Toolbox, which is available as a separate product, helps engineers understand and improve their mechanical designs by making it easy to import CAD models directly into MapleSim and understand how they behave as part of a larger system. This update is being distributed through the automatic Check for Updates system, and is also available from our website. See MapleSim 2015.2 for details on obtaining this update. This new MapleSim release is available immediately on Windows and Linux, with a Mac version following in the coming days. Here at Maplesoft, we like to foster innovation in technological development. Whether that is finding solutions to global warming, making medical discoveries that save millions, or introducing society to very advanced functional robots, Maplesoft is happy to contribute, support and encourage innovative people and organizations researching these complex topics. This year, we are delighted to have sponsored two contests in the robotics field that provide opportunities to think big and make an impact: Create the Future Design Contest and the International Space Apps Challenge. Established in 2002, and organized by TechBriefs, the goal of the Create the Future Design Contest is to help engineers bring their product design ideas to life. The overall ‘mission of the contest is to benefit humanity, the environment, and the economy.’ This year, there were a record 1,159 new product ideas submitted by students, engineers, and entrepreneurs from all over the globe. 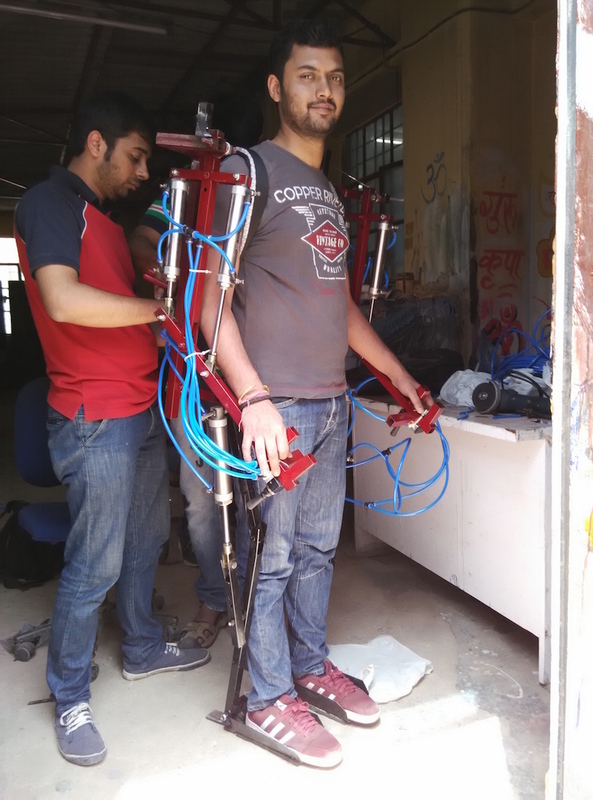 In the machinery/automation/robotics category, which Maplesoft sponsored, the project with the top votes was designed by two engineers who chose to name their innovation CAP Exoskeleton, a type of assistive robotic machine designed to aid the user in walking, squatting, and carrying heavy loads over considerable distances. It can either be used to enhance physical endurance for military purposes or to help the physically impaired perform daily tasks. A contest like Create the Future is a perfect opportunity, for engineers in particular, to learn, explore, and create. The exploration of space has always been unique in its search for knowledge. The International Space Apps Challenge, a NASA incubator innovation program, is an ‘international mass collaboration focused on space exploration that takes place over 48-hours in cities around the world’. It is a unique global competition where people rally together to find solutions to real world problems, bringing humanity closer to understanding the Earth, the universe, the human race, and robotics. These goals, the organizers believe, can be reached much faster if we combine the power of the seven billion or so brains that occupy the planet, not forgetting the six that are currently orbiting above us aboard the International Space Station. The competition is open to people of all ages and in all fields, including engineers, technologists, scientists, designers, artists, educators, students, entrepreneurs, and so on. With an astounding 13,846 participants from all over the world, several highly innovative solutions were presented. Maplesoft sponsored the University of York location in the UK where the winning team of five modeled an app called CropOp, a communication tool that connects the government to local farmers with the goal of providing instantaneous, crucial information regarding pest breakout warnings, extreme weather, and other important updates. This UK-based team believes the quality and quantity of food produced will be improved, especially benefiting the undernourished communities in Africa. Maplesoft supports the Space Apps Challenge because it proves that collaboration makes for bigger and better discoveries that can save millions of people. Donating Maplesoft software for contestants to use is part of the sponsorship. The real delight is to wait and see what innovative concepts they come up with. When we sponsor contests like these, we find it benefits our software as much as it does the participants. Plus, if the contestants can provide solutions to real world issues, well, that benefits everyone! The engineering design process involves numerous steps that allow the engineer to reach his/her final design objectives to the best of his/her ability. This process is akin to creating a fine sculpture or a great painting where different approaches are explored and tested, then either adopted or abandoned in favor of better or more developed and fine-tuned ones. Consider the x-ray of an oil painting. 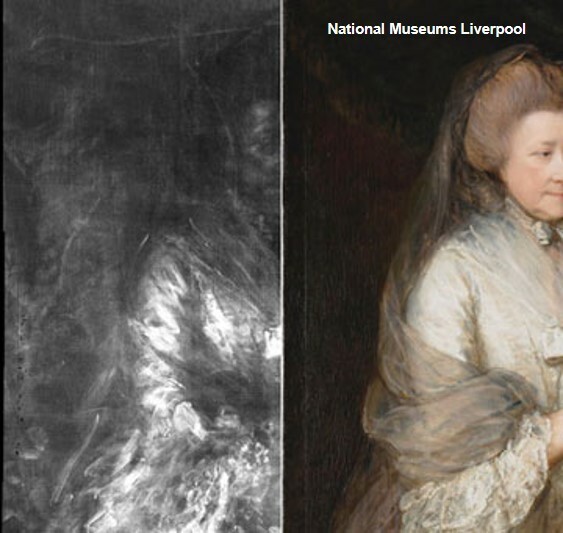 X-rays of the works of master artists reveal the thought and creative processes of their minds as they complete the work. I am sure that some colleagues may disagree with the comparison of our modern engineering designs to art masterpieces, but let me ask you to explore the innovations and their brilliant forms, and maybe you will agree with me even a little bit. Successful design engineers must have the very best craft, knowledge and experience to generate work that is truly worthy of being incorporated in products that sell in the tens, or even hundreds, of millions. This is presently achieved by having cross-functional teams of engineers work on a design, allowing cross checking and several rounds of reviews, followed by multiple prototypes and exhaustive preproduction testing until the team reaches a collective conclusion that “we have a design.” This is then followed by the final design review and release of the product. This necessary and vital approach is clearly a time consuming and costly process. Over the years I have asked myself several times, “Did I explore every single detail of the design fully”? “Am I sure that this is the very best I can do?” And more importantly, “Does every component have the most fine-tuned value to render the best performance possible?” And invariably I am left with a bit of doubt. That brings me to a tool that has helped me in this regard. I have used Maple for over 25 years to dig deeply into my designs and understand the interplay between a given set of parameters and the performance of the particular circuit I am working on. This has always given me a complete view of the problem at hand and solidly pointed me in the direction of the best possible solutions. In recent years, a new feature called “Explore” has been added to Maple. This amazing feature allows the engineer/researcher to peer very deeply into any formula and explore the interaction of EVERY variable in the formula. Take for example the losses in the control MOSFET in a synchronous buck converter. In order to minimize these losses and maximize the power conversion efficiency, the most suitable MOSFET must be selected. With thousands of these devices being available in the market, a dozen of them are considered very close to the best at any given time. The real question then is, which one is really the very best amongst all of them? There are two possible approaches - one, build an application prototype, test a random sample of each and choose the one that gives you the best efficiency. Or, use an accurate mathematical model to calculate the losses of each and chose the best. The first approach lacks the variability of each parameter due to the six sigma statistical distribution where it is next to impossible to get a device laying on the outer limits of the distribution. That leaves the mathematical model approach. If you take this route, you can have built-in tolerances in the equations to accommodate all the variabilities and use a simplified equation for the control MOSFET losses (clearly you can use a very detailed model should you chose to) to explore these losses. Luckily you can explore the losses using the Explore function in Maple. 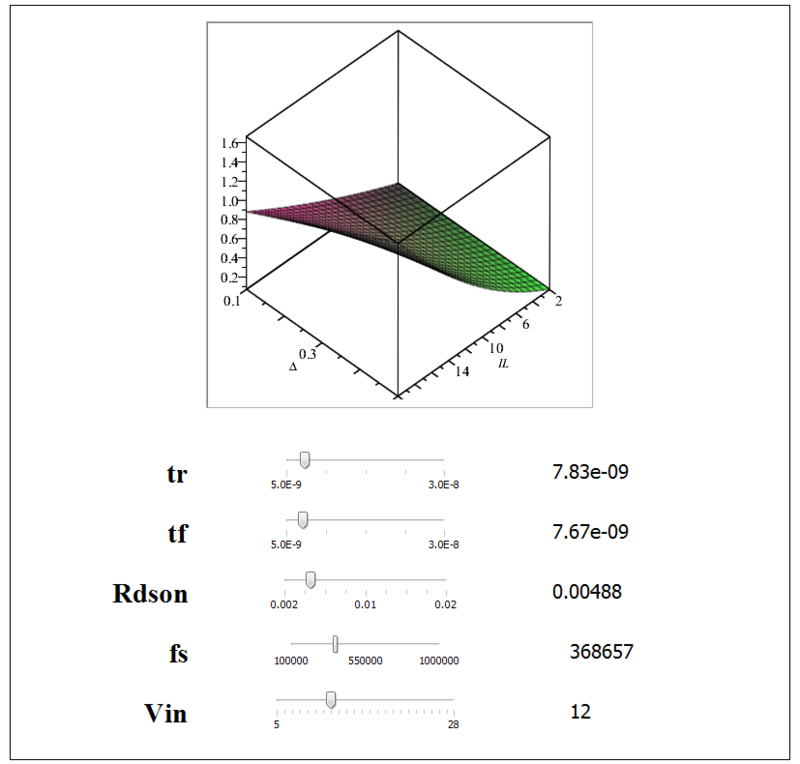 The figure below shows a three dimensional plot, plus five other variables in the formula that the user can change using sliders that cover the range of values of interest including Minima and Maxima, while observing in real time the effects of the change on the power loss. This means that by changing the values of any set of variables, you can observe their effect on the function. To put it simply, this single feature helps you replace dozens of plots with just one, saving you precious time and cost in fine-tuning your design. In my opinion, this is equivalent to an eight-dimensional/axes plot. I used this amazing feature in the last few weeks and I was delighted at how simple it is to use and how much it simplifies the study of my approach and my components selection, in record times! Maple's dsolve numeric can solve delay ODEs and DAEs as of Maple 18. However, if I am not wrong, it cannot solve delay equations with a time dependent history. In this post I show two examples. y1(t) and y2(t) with time dependent history. Use of piecewise helps this problem to be solved efficiently. Hopefully Maple will add history soon in its capability. This is a very a complicated stiff problem from immunology. As of now, I believe only Maple can solve this (other than RADAR5 from Prof. Hairer). Details and plots are posted in the attached code. Let me know if any one has a delay problem that needs to be solved. I have tested many delay problems in Maple (they work fine). The attached examples required addtional tweaking, hence the post. I want to take this opportunity to congratulate and thank Maple's dsolve numeric/delay solvers for their fantastic job. Maple is world leader not because of example1, but because of its ability to solve example 2. 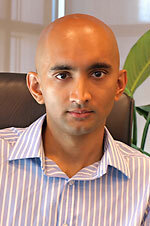 This code is written by Dayaram Sonawane and Venkat R. Subramnian, University of Washington. You will need Maple 18 or later for this. For those who are wanting to solve these problems in earlier versions, I can help them by offering a procedure based approach (less efficient). Example1 The first example solved is a state dependent delay problem (http://www.mathworks.com/help/matlab/math/state-dependent-delay-problem.html). Tweaking the tolerances and epsilon will get the solution even more closer to the expected answers. The next problem discussed is very stiff, complicated and as of today, according Professor Hairer (one of the world's leading authority in numerical solutions of ODEs, DAEs), cannot be solved by any other code other than his RADAR (5th order implicit Runge Kutta modified for delay equations, Guglielmi N. and Hairer E. (2001) Implementing Radau IIa methods for stiff delay differential equations. Computing 67:1-12). This problem requires very stringent tolerances. For more information read, http://www.scholarpedia.org/article/Stiff_delay_equations. I can safely say that Maple can boast that it can solve this delay differential equation by using a switch function (instead of Heaviside/picecewise function). Code is attached below and results are compared with the output from RADAR code. Note that dsolve/numeric is probably taking more time steps compared to RADAR, but the fact that Maple's dsolve numeric solved this model (which cannot be solved in Mathematica or MATLAB[needs confirmation for MATLAB]) should make Maple's code writers proud. It is very likely that we will be trying to submit an educational/research article on this topic/example soon to a journal. For some weird reasons, stiff=true gives slightly inaccurate results. Values at t = 300 match with expected results. 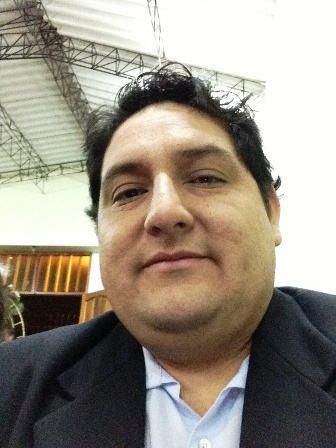 Presentations of the first national congress of civil engineering developed at the University Cesar Vallejo. From 10 to 12 November 2014. We have just released a new version of MapleSim. Easy model investigation. A new Results Manager gives you greater flexibility when it comes to investigating your simulation results, including the ability to compare simulation runs on the same axes, instantly plot both probed and unprobed variables, and easily create custom plots. Convenient library creation. With MapleSim 7, it is significantly easier to create, manage, and share libraries of custom components. 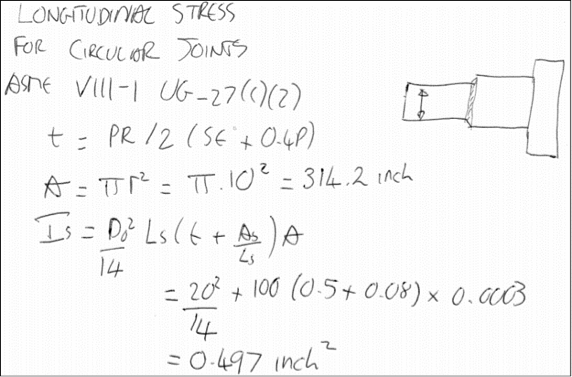 Improved Modelica support. MapleSim 7 expands the support of the Modelica language so that more Modelica definitions can be used directly inside MapleSim. The new MapleSim Battery Library, which is available as a separate add-on, allows you to incorporate physics-based predictive models of battery cells into your system models so you can take battery behavior into account early in the design process. The MapleSim Connector for FMI, which allows engineers to share very efficient, high-fidelity models created in MapleSim with other modeling tools, has been expanded to support more export formats for co-simulation and model exchange. See What’s New in MapleSim 7 for more information about these and other improvements in MapleSim. Maplesoft is holding its first ever Virtual User Summit on Feb. 27. You’ll be able to watch presentations by both Maplesoft and Maplesoft customers, ask questions, have discussions in the lounge with other attendees, and even enter a draw, all from the comfort of your own home or office. Here’s the agenda. We’ll release more detailed information on speakers and session times in the next couple of weeks. We have just released a free collection of Maple and MapleSim classroom materials that helps bring modern technology to any introductory course in control design. This collection includes interactive classroom demonstrations that illustrate key concepts; lab projects and assignment questions; and example models ready to be explored. It’s been designed primarily for instructors, but students should find much of it useful, too.